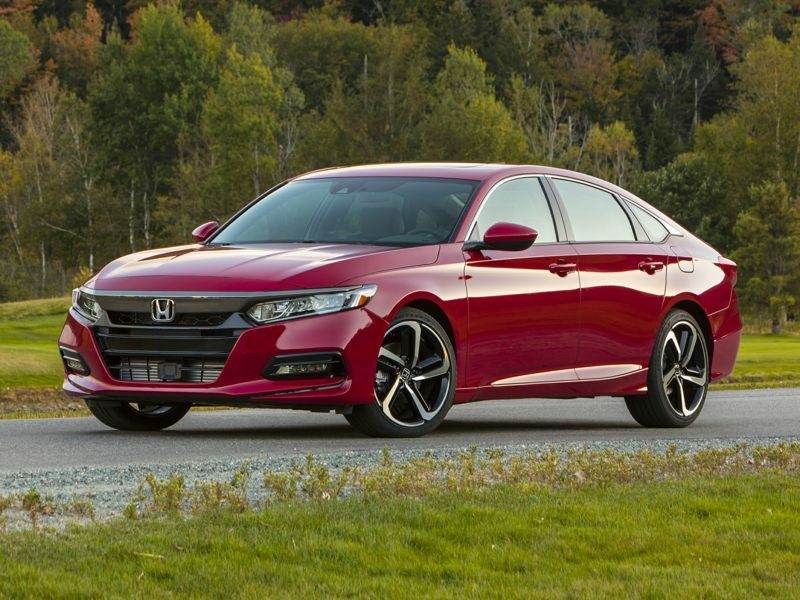 The 2019 Honda Accord is a 4-door, 5-seat Sedan, available in 9 trims, ranging from the Sport (M6) to the Sport 2.0T (A10). Upon introduction, the $26,180 Sport (M6) is equipped with a standard 1.5L, 4-cylinder, engine that achieves 26-mpg in the city and 35-mpg on the highway. a Manual transmission is standard. The $30,710 Sport 2.0T (A10) is equipped with a standard 2.0L, 4-cylinder, engine that achieves 22-mpg in the city and 32-mpg on the highway. an Automatic transmission is standard. Any collection of new Honda images will of course feature the Honda Civic quite prominently. That model was the first of the truly best selling new Honda cars. That car’s follow-up, the 1974 Honda CVCC was the first car to meet the standards imposed by the 1970 U.S. Clean Air Act. In fact, the Honda automobile met those standards running on either regular or unleaded gasoline and did so without using a catalytic converter. Further, it was ranked by the U.S. Environmental Protection Agency as the most fuel-efficient car sold in America in 1974. Honda could claim its cars were both good on gas and good for the air. The public responded favorably, Honda has been a household name in automobiles ever since. The Civic was followed in 1976 by the highly successful Honda Accord, which eventually went on to become the best selling passenger car in the U.S. between 1990 and 1992. The Honda Accord was also the first Japanese car to be built in the United States. Today, Honda operates nine production facilities in the U.S.
You’ll find a broad array of new Honda pictures of the Accord as well. Known for innovation and cutting edge engineering solutions, Honda introduced the first mass-produced gasoline/electric hybrid car in 1999—the Honda Impact. Honda was the first to market with a fuel-cell electric car in 2002—the Honda FCX Clarity. Further, the Honda Civic GX was the first natural gas powered automobile offered by a mainstream auto builder. You’ll find current pictures of those models too, in this gathering of new Honda photos.